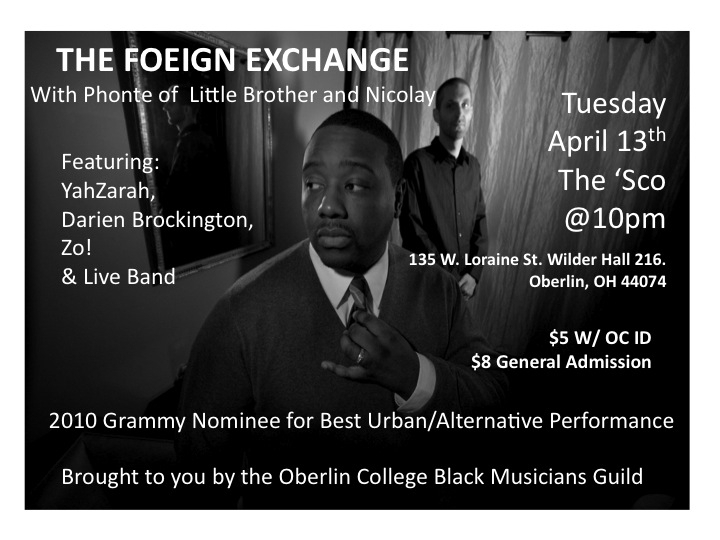 Come see The Foreign Exchange at the student run bar & night club The 'Sco on Oberlin College's campus. This event is open to the public. 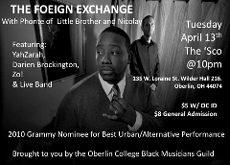 Darien Brockington, Nicolay, Oberlin, Phonte, The 'Sco, The Foreign Exchange, YahZarah, Zo!